Ryzodeg (insulin degludec/insulin aspart) delivers significantly lower rates of hypoglycaemia and nocturnal hypoglycaemia in a broad range of type 2 diabetes patients, new research has revealed. 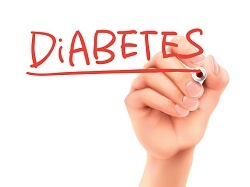 The analyses found that insulin degludec/insulin aspart achieved successful glycaemic control with significantly lower rates of hypoglycaemia and nocturnal hypoglycaemia in patients with type 2 diabetes versus BIAsp 30 and/or a basal-bolus regimen of insulin degludec and insulin aspart. The findings were presented yesterday (1 December) at the 23rd World Diabetes Congress of the International Diabetes Federation. Researchers looked at pooled data from 5 clinical studies, which highlighted that these benefits were delivered to patients irrespective of baseline HbA1c, disease duration or BMI. The results also revealed that use of insulin degludec/insulin aspart resulted in statistically significant reductions in fasting plasma glucose, and a lower insulin dose with significant differences in patients with BMI ≤30 or a disease duration longer than 10 years against its comparators. These data are from the analyses of 5 26-week treat-to-target phase 3a/b clinical trials in people with type 2 diabetes.